Tory voters back Labour’s Brexit policy, new polling suggests. Asked whether they would support the UK being in a new, modified form of an EU customs union, 47 per cent of Conservative supporters confirmed that they would. Just 24 per cent said they did not support such an arrangement, and 29 per cent were unsure. 1,507 Conservative voters were interviewed online for the research. The poll was conducted by Survation, trusted by many in Westminster as the only opinion pollster to accurately predict a hung parliament ahead of the general election result in 2017. The poll result comes after Jeremy Corbyn announced a shift in Labour’s Brexit plans last month. 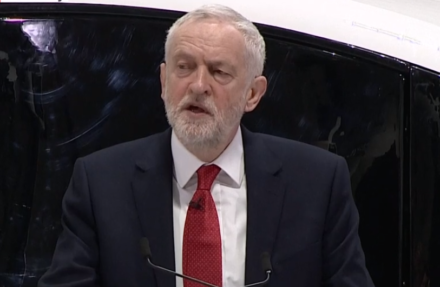 In his speech announcing the new negotiating position, the Labour leader said: “I appeal to MPs of all parties, prepared to put the people’s interests before ideological fantasies, to join us in supporting the option of a new UK customs union with the EU, that would give us a say in future trade deals. Labour’s new proposals would see the UK retain a degree of autonomy in its ability to negotiate trade deals with other countries. The leadership also hopes that the deal would address some of the concerns around a ‘hard’ Irish border. The plan fell short of the demands put forward by supporters of Open Britain and the Labour Campaign for the Single Market. However, it was well-received by trade unions and a range of party figures including Fabian Society chair Andrew Harrop, who used a LabourList article to welcome the new position as “good economics and good politics“.